Techniques used: spiders and coronet shell edge. 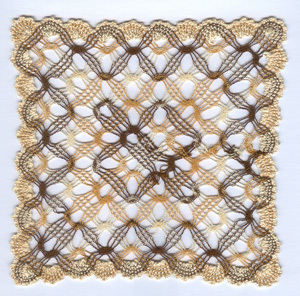 When I can locate the piece of lace I will add a bigger picture! 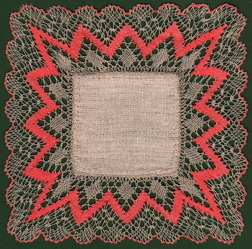 The choice of bobbin lace pattern published on this page is determined by popular vote. The corner is computer generated, not mitred. 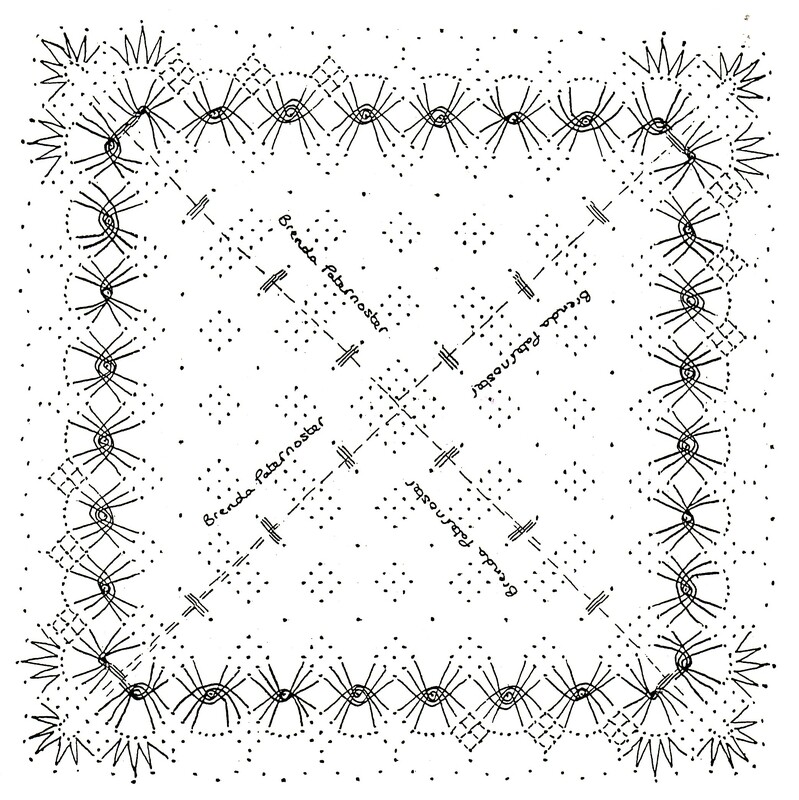 Cross design, computer generated from a square mat pattern. 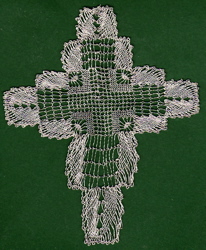 15cm x 12cm Celtic braid and scalloped edge torchon mat. 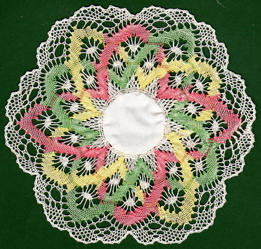 16cm diameter. Your name and email are required only to prevent multiple voting. If you vote more than once all of your votes will be discarded! I will not pass your email address on to any one else. When the pattern is changed I will delete all of the votes from my records. You will not receive any unsolicited mail fom me as a result of voting for your pattern choice. The password is required to enable me to filter out any automated spam responses to this poll. Please type the letters below into the password box.